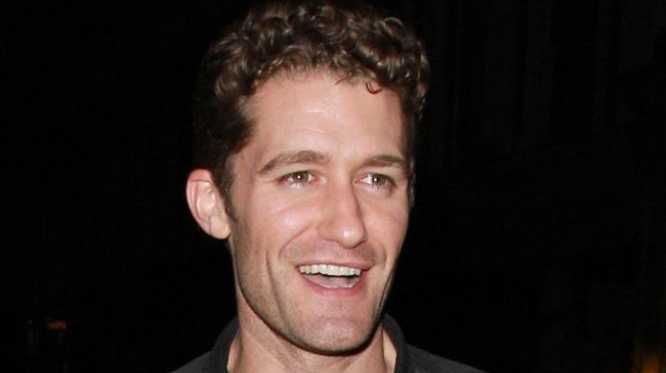 MATTHEW Morrison wants to "settle" his feud with Jonah Hill "like men". 'Moneyball' actor Jonah accused Matthew of "bullying" him at a recent showbiz event when the 'Glee' star told him to stop talking in front of other guests, and challenged him to "bring his s**t" during an interview on 'Late Night with Jimmy Fallon', adding he'd "like to see him sing his way out of this one". In a video response sent to talk show host Jimmy, Matthew said: "I heard that Jonah said I should bring my s**t next time. "Well, guess what? This is next time. "You think I can't sing my way out of this? I can sing my way out of it and I can dance my way out of it, so pick a date and I will meet you on 'Late Night with Jimmy Fallon' and we will settle this like men. "Be afraid. Be very afraid, because nobody messes with someone from musical theatre." Although Matthew appeared serious in his video, he does end it by saying: "I can't wait to see 'Moneyball'." The pair have a history of "beefing" with each other, as a few weeks after the initial incident the pair were at a Hollywood party, and Jonah, 27, overhead the 32-year-old actor telling a joke to 'Gossip Girl' star Chace Crawford in which he was the punchline. Jonah - who has slimmed down dramatically in recent months - has yet to respond and say whether he will accept Matthew's challenge to appear on the show.